This article is about the former United States Air Force base in New York. For the civil use of this facility and airport information, see Griffiss International Airport. at the Eastern Air Defense Sector. 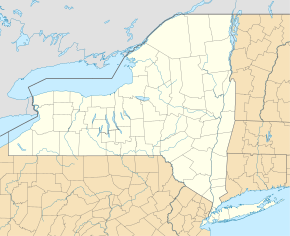 Griffiss Air Force Base is a former United States Air Force installation in the northeastern United States, located in central New York state at Rome, about fifteen miles (25 km) northwest of Utica. Closed 24 years ago in September 1995 by the Base Realignment and Closure Commission decision, it was realigned for civilian and non-combat purposes in 1995, and is now home to the Griffiss Business and Technology Park. Post-closure, two USAF activities remained: the Rome Research Site of the Air Force Research Laboratory, and the Eastern Air Defense Sector (EADS) of the North American Aerospace Defense Command (NORAD) as operated by the New York Air National Guard from a small complex of buildings in the Technology Park. Griffiss was the site of the Woodstock 99 Festival in July 1999. Notorious for overpricing, triple-digit heat, aggressive music, and lack of water, it descended into chaos, although no base assets were harmed. ✪ What is the Griffiss Air Force Base? ✪ Griffiss Industrial Park. Rome, New York. 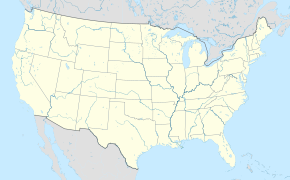 Griffiss Air Force Base is located in central New York state at Rome, in the Mohawk Valley among the Mohawk River, Six Mile Creek, and the New York State Barge Canal. On 3 April 1941, the War Department began looking for an area to construct an air depot in central New York. Orders to begin construction came from the War Department on 23 June 1941 and ground was broken on 2 August 1941. Facilities were completed in February 1942, and flight operations on the depot airfield began on 18 February 1942. Construction had been supervised by Kenneth Nichols of the United States Army Corps of Engineers Syracuse Engineer District, which was headed by James C. Marshall. Marshall and then Nichols became District Engineer for the Manhattan Engineer District (MED) which built the atomic bomb. After a series of names and realignments, the base was finally named "Griffiss Air Force Base" in 1948 to honor of Lt. Col. Townsend Griffiss (1900–1942), a Buffalo native and 1922 West Point graduate. In 1942, Griffiss became the first U.S. airman to be killed in the line of duty in the European Theatre of World War II when the B-24 Liberator bomber he was aboard was shot down by friendly fire over the English Channel. The USAF had originally applied "Griffiss Air Force Base" to Fort Worth Army Airfield in Texas on 1 January 1948, but its name was changed on 27 February to memorialize native son and Medal of Honor recipient, Major Horace Carswell, who gave his life while attempting to crash land his crippled B-24 over China. On 1 February 1942, the Rome Air Depot was activated and throughout World War II the depot provided aircraft engine maintenance and repair, and trained air depot groups in engine repair. With the end of the war and the sharp reduction of AAF aircraft operations, activities were sharply curtailed in the fall of 1945. The Rome Air Depot continued operations well into the 1960s as an Air Force Logistics Command Air Materiel Area (AMA) supporting USAF electronics and RADAR systems. The depot began a phasedown in the early 1960s, with the depot closing in 1967 with its functions being transferred to other AFLC Air Materiel Areas. Although many aircraft landed at Griffiss during the war, the airfield had no permanently stationed flying units. It wasn't until after World War II, that the Air Force Reserve 65th Reconnaissance Group conducted aerial photo and mapping operations from Griffiss from 27 December 1946 until being inactivated on 27 June 1949. On 3 October 1950 the 1st Fighter-Interceptor Group of Air Defense Command (ADC) became the first permanently assigned USAF flying unit at Griffiss. Although the group moved to California in 1951, its 27th Fighter-Interceptor Squadron (FIS) remained behind. ADC units were stationed there for the next 30 years as Griffiss became a center for the Northeast air defense mission, and was headquarters of the Northeast Air Defense Sector. The 27th FIS flew Lockheed F-80 Shooting Stars, North American F-86 Sabres, Northrop F-89 Scorpion, Lockheed F-94 Starfires and Convair F-102 Delta Daggers before leaving Griffiss in 1959. In October 1955, the 465th FIS was assigned to Griffiss with F-89 Scorpion all-weather fighters. ADC activated the 4727th Air Defense Group as a headquarters for the two squadrons in February 1957 and it became a major tenant at Griffiss. The 49th FIS moved, less personnel, equipment, and aircraft from Hanscom AFB, Massachusetts and replaced the 465th FIS in October 1959, receiving, after the transfer, its McDonnell F-101 Voodoos. Later that year, when the 27th FIS departed Griffiss, the 4727th was discontinued. Electronic research began at the Rome Air Depot in 1949. The Watson Laboratory complex was transferred to Rome from Red Bank, New Jersey between 1950 and 1951. The Rome Air Development Center was begun at the base on 12 June 1951, as a response to the specific electronics needs of air forces learned by the U.S. Army Signal Corps during the war. The RADC would be renamed to Rome Laboratory in 1991 as a response to its changing role in research and development. The 416th Bombardment Wing (416 BW), a Strategic Air Command (SAC) B-52G Stratofortress and KC-135R Stratotanker wing that conducted strategic bombardment readiness, conventional bombardment operations, and air refueling operations on a global scale, was based at Griffiss AFB. 416 BW crews and aircraft deployed to the Pacific during the Vietnam War era to support SAC operations during the conflict. In 1991, wing crews and aircraft participated in Operation Desert Storm, the first Gulf War in Southwest Asia. On 1 June 1992, as part of an Air Force-wide reorganization and concurrent with the disestablishment of SAC, the 416 BW's KC-135 aircraft were transferred to the newly established Air Mobility Command (AMC). The 416th retained its B-52 aircraft and the wing was transferred to the newly established Air Combat Command (ACC), with Griffiss designated as an ACC base. The 416 BW was inactivated in 1995 as part of another post-Cold War drawdown of United States strategic forces pursuant to a 1993 BRAC decision. Closure of Griffiss AFB was part of this same BRAC action. Griffiss AFB was selected for realignment by the Base Realignment and Closure Commission in 1993. At its peak, the base was the largest employer in Oneida County, New York. [citation needed] Griffiss was the site of the Woodstock 1999 concert festival. The base was designated a superfund site in 1984. Solvents, lead and polychlorinated biphenyls (PCBs) had been disposed in landfills and dry wells. This contaminated Three Mile Creek and Sixmile Creek, and ground water beneath portions of the base, and led to accumulation of volatile organic compounds (VOCs). Leaking underground storage tanks and soil contamination were dug out. People affected by contaminated well water received bottled water until, in 1991, everyone was connected to the municipal water supply. By 2013, 27 of the 31 "areas of concern" identified in 1995 had been cleaned up or addressed otherwise, and did not need "further action" per EPA. The base closure on 30 September 1995, meant that 5,000 jobs or 30 percent of the city's economic base were lost. The population decreased by 10,000, from 44,350 in 1990 to 34,950 in 2000. The Air Force Research Laboratory had not been closed, and became core of the redevelopment plan, of making it part of a corporate business and to build a technology park around it. In 2004, a new $24 million facility opened. ^ a b Wartofsky, Alona (27 July 1999). "Woodstock '99 goes up in smoke". Washington Post. p. A1. ^ a b "Woodstock chaos blamed on small group". Eugene Register-Guard. (Oregon). Associated Press. 27 July 1999. p. 5A. ^ a b Guzman, Isaac; Tayler, Letta (27 July 1999). "Discord disrupts Woodstock's harmony". Wilmington Morning Star. (North Carolina). (Newsday). p. 1A. ^ a b "Griffiss Air Force Base New York EPA ID#: NY4571924451" (factsheet). EPA Region 2. 25 October 2013. p. 3. Retrieved 22 September 2015. ^ Stephen Mulvey (14 February 2012). "Townsend Griffiss, forgotten hero of World War II". BBC News. ^ "Namesakes: Carswell". Air Force Magazine. 99 (10): 76. October 2016. ^ Maurer, Maurer, ed. (1983) . Air Force Combat Units of World War II (PDF) (reprint ed.). Washington, DC: Office of Air Force History. pp. 21–24. ISBN 0-912799-02-1. ^ a b Maurer, Maurer, ed. (1982) . Combat Squadrons of the Air Force, World War II (PDF) (reprint ed.). Washington, DC: Office of Air Force History. pp. 138–139. ISBN 0-405-12194-6. ^ a b Cornett, Lloyd H; Johnson, Mildred W (1980). A Handbook of Aerospace Defense Organization, 1946–1980 (PDF). Peterson AFB, CO: Office of History, Aerospace Defense Center. p. 89. ^ "Defense Base Closure and Realignment Commission - 1993 Report to the President" (PDF). United States Department of Defense. 1993-07-01. Retrieved 2007-10-23. ^ "Former Air Force base gaining altitude as business park". Elizabeth Cooper. Gatehouse Media, LLC. uticacod.com. 20 September 2015. Retrieved 22 September 2015. Aerospace Defense Command publication, The Interceptor, January 1979 (Volume 21, Number 1). Wikimedia Commons has media related to Griffiss Air Force Base.